Some of my earliest memories are helping my mom prepare dinner. Combine meat mixture thoroughly. Separate Won Ton wrappers. Place a teaspoon of the meat mixture in the center of each. The next step is where I let my daughter start to help. 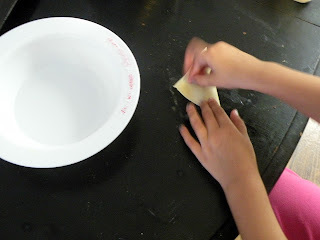 Dip finger in water (most recipes will suggest egg white, water works just fine) - brush water on all four edges of wrapper (this will help the wrapper adhere to itself). 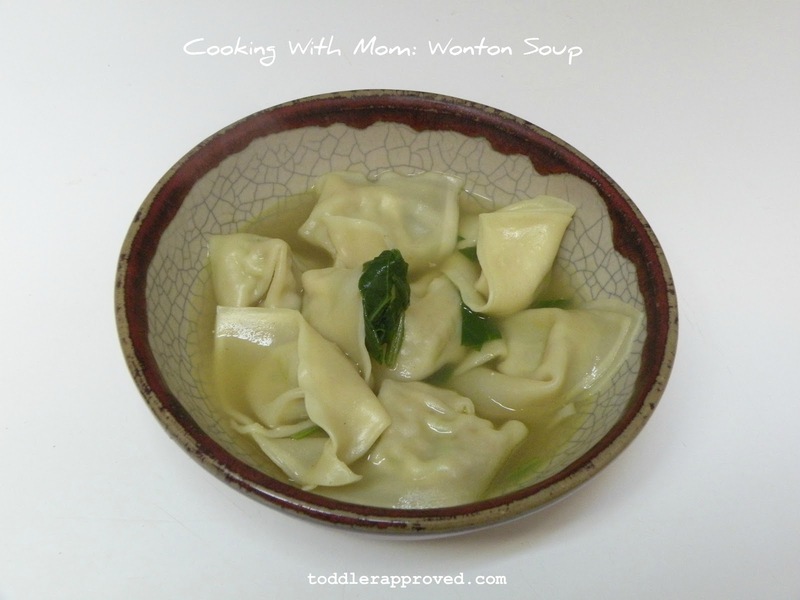 Bring chicken stock to a rolling boil and drop in wontons. They will be fully cooked in about 5 minutes. Garnish with chopped green onions or spinach and devour! 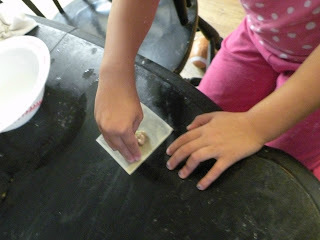 How do your children help you with meal preparation? 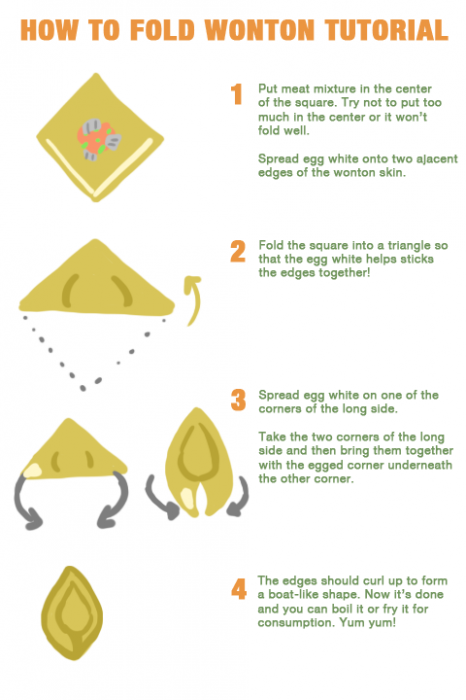 Do you need to cook the meat first before filling the wonton?